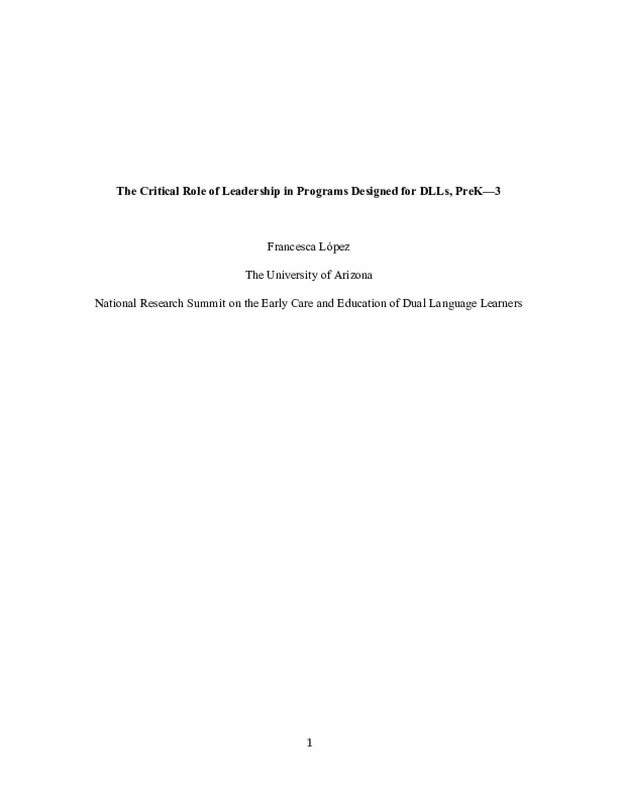 One of five commissioned papers prepared for the National Research Summit on the Early Care and Education of Dual Language Learners. Copyright 2014 by National Research Summit on the Early Care and Education of Dual Language Learners. All rights reserved.